Since Adam and Comfort are signing on their new house this afternoon, I decided to get some baking out of the way so we can go help move and what not. 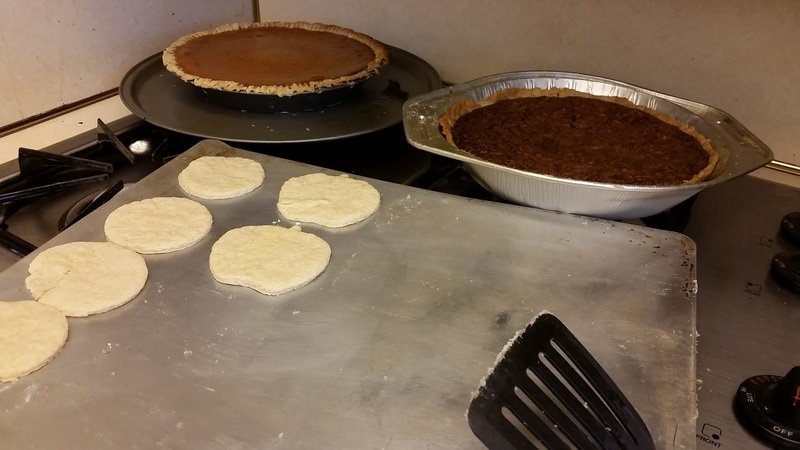 A few dozen sugar cookies, a pumpkin pie and a pecan pie were all set after a few hours of baking. That felt so much more productive than just responding to emails all morning, which is what my work day would have looked like. In the afternoon we went over to their new house (which is less than a mile from us) and helped unload their truck. Well, I mostly just stood around and moved light things while Chris, Comfort's dad, and their friend's Will and Krista unloaded the truck. Comfort and Adam were signing on their house so everyone managed to get most things moved out of the truck before they were done. Which was good, since it gets dark early and had started to snow. 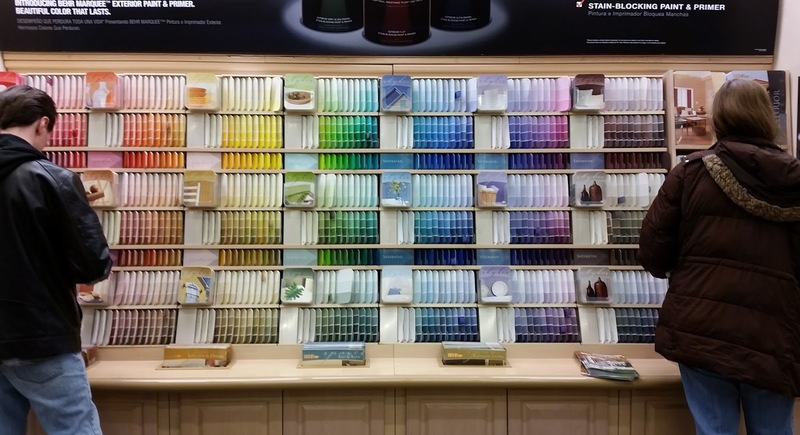 Later in the evening we went with them to home depot so they could pick up a few things, including paint swatches.